Allen O’Connor mixed …and then, we held hands. 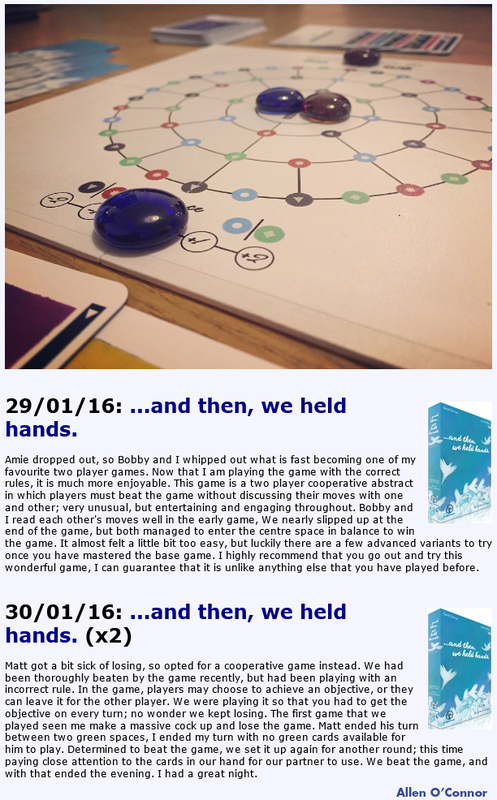 into a busy week of gaming, sometimes as a finisher after some much heavier games. You can see what he has to say below in some excerpts from his blog on BoardGameGeek.com.